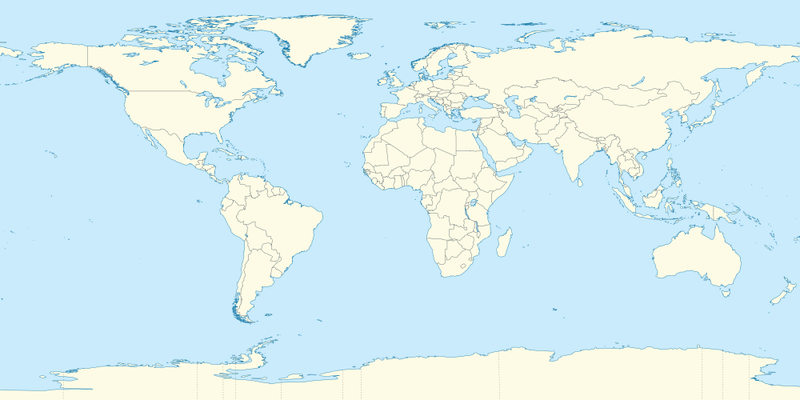 This list of islands by area includes all islands in the world greater than 2,500 km2 (970 sq mi) and several other islands over 1,000 km2 (390 sq mi), sorted in descending order by area. For comparison, continents are also shown. A size comparison of the smallest continent (Australia) and the largest island (Greenland). South of the Australian mainland is Tasmania, itself the 26th largest island. Although the continental landmasses listed below are not normally called islands (by definition a landmass cannot be both an island and a continent), they are, in fact, land entirely surrounded by water. In effect, they are enormous islands and are shown here for that reason. The figures are approximations and are for the continental mainland only. Brazil (Pará). At the mouth of the Amazon River, it is the world's largest fluvial island. This section of the list might not be complete, but covers almost all of the islands in the world over 1,000 km2 (390 sq mi). The area of some Antarctic islands is uncertain. ^ Antarctica is a special case; if its ice is considered not as land, but as water, it is not a single land mass, but several land areas of much smaller area, since the ice-bedrock boundary is below sea level in many regions of the continent. If its ice cover were to be lifted, some rock that is currently below sea level would rise as the weight of the ice would be removed, although this would in part be counteracted, and in some areas of the continent overtaken, by eustatic rises in sea level. ^ Australia is more than three times the size of Greenland, the largest island. Australia is sometimes dubbed "The Island Continent" or "Earth’s largest island but smallest continent". ^ The Turkish Republic of Northern Cyprus claims and controls one third of the island of Cyprus, although this is not recognised by any country except Turkey. ^ a b A dispute exists between the Governments of Argentina and the United Kingdom concerning sovereignty over the Falkland Islands. The territory is described as "Falkland Islands (Malvinas)" by the United Nations. ^ Jonathan L. Bamber; River; Vermeersen; LeBrocq (May 2009). "Reassessment of the Potential Sea-Level Rise from a Collapse of the West Antarctic Ice Sheet". Science. 324 (59295): 901–903. doi:10.1126/science.1169335. PMID 19443778. Retrieved 3 June 2013. ^ "Australia in Brief - Department of Foreign Affairs and Trade". Dfat.gov.au. Archived from the original on 2003-08-20. Retrieved 2010-08-30. ^ "Area of Australia - States and Territories". Geoscience Australia. ^ a b c d e f "Islands By Land Area". Islands.unep.ch. Retrieved 2010-08-01. ^ "Joshua Calder's World Island Info - Continent or Island?". Worldislandinfo.com. Retrieved 2016-01-30. ^ Ganeri, Anita (2014). Island Life. Raintree. p. 43. ISBN 9781406249453. ^ Europa Publications, ed. (2003). Africa South of the Sahara 2004. Psychology Press. p. 629. ISBN 9781857431834. ^ a b c d e f g h i j k l m n o p q r s t u v w x y z aa ab ac ad ae af ag ah ai aj ak al am an ao ap aq ar as at au "Atlas of Canada - Sea Islands". Atlas.nrcan.gc.ca. 2009-08-12. Archived from the original on 2013-01-22. Retrieved 2010-08-30. ^ Nolan, Professor William. "Geography of Ireland". Government of Ireland. Archived from the original on 2009-11-24. Retrieved 2009-11-11. ^ a b c d e "Joshua Calder's World Island Info - Largest Islands of the World". Worldislandinfo.com. Retrieved 2016-01-30. ^ a b c d e "Statistisk årbok 2009: Geografisk oversikt" (in Norwegian). Ssb.no. Retrieved 2010-08-01. ^ "Monthly Bulletin of Interior Statistics 2011.12". Department of Statistics, Ministry of the Interior, R.O.C. Archived from the original (Excel) on 2014-03-29. ^ Popescu, Gabriel (2015). Agricultural Management Strategies in a Changing Economy. IGI Global. p. 310. ISBN 9781466675223. ^ Dunham, Mike (July 31, 2010). "Turns out Kodiak is largest U.S. island, depending on viewpoint". Anchorage Daily News. Archived from the original on August 2, 2010. Retrieved August 1, 2010. ^ a b c d e f g h i j k l m n "Joshua Calder's World Island Info - Largest Islands of the World by Region". Worldislandinfo.com. Retrieved 2016-01-30. ^ a b "Joshua Calder's World Island Info - Largest Lake Islands of the World". Worldislandinfo.com. Retrieved 2016-01-30. ^ The Essential Desk Reference. Oxford University Press. 2002. p. 279. ISBN 9780195128734. ^ a b c "Joshua Calder's World Island Info - Largest Islands of Selected Countries". Worldislandinfo.com. Retrieved 2016-01-30. ^ a b "Suomen suurimmat saaret". Kauko Huotari. Archived from the original on 2010-04-12. Retrieved 2010-08-01. ^ "Svalbard Statistics 2005" (PDF) (in Norwegian). Retrieved 2010-08-01. ^ Nevin, Cohen (2011). Green Cities: An A-to-Z Guide. SAGE. p. 147. ISBN 9781412996822. Haug, Per Ivar (August 2005). "Islands of Greenland". Gazetteer of Greenland. Norwegian University of Science and Technology. Archived from the original on 2011-06-15. "Islands by Land Area". Island Directory Tables. United Nations Environment Programme. 18 February 1998. "The Atlas of Canada". Natural Resources Canada. 4 June 2015. "World Island Information". Joshua Calder. 2010.